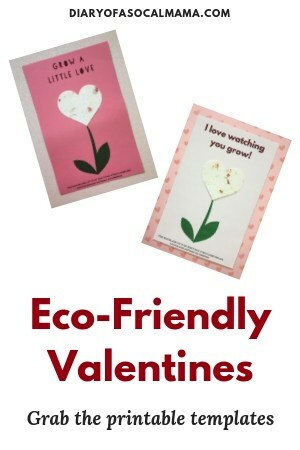 These DIY Valentines day cards make an idea gift from teachers to students or for kids to give to their classmates! They are simple, non-food, and eco-friendly! The seed heart piece can be planted and grown into flowers to keep the love going long after Valentine’s Day is over! These cards can be as handmade as you want them to be. You can print out the templates and simply attach the heart with a glue dot. Or you can take the general idea and draw your own flower stem, this is probably the most fun for kids. For kids I’ve made this fun template that says “Grow a Little Love”. I’ve included the growing instructions at the bottom. You’ll need to cut those instructions off and add your own if you purchase a different type of seeded paper. 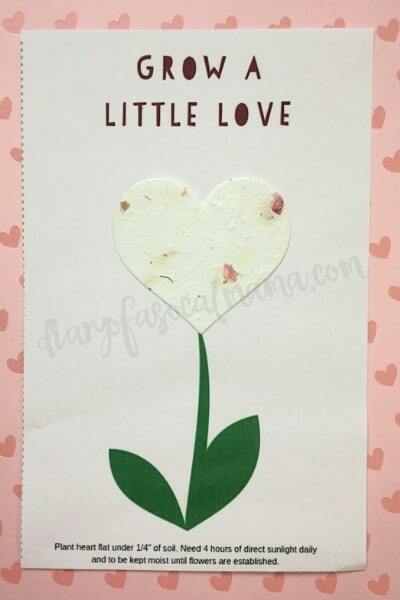 It creates a great, simple valentines day craft for kids to make for their friends whether they’re in preschool or elementary school. 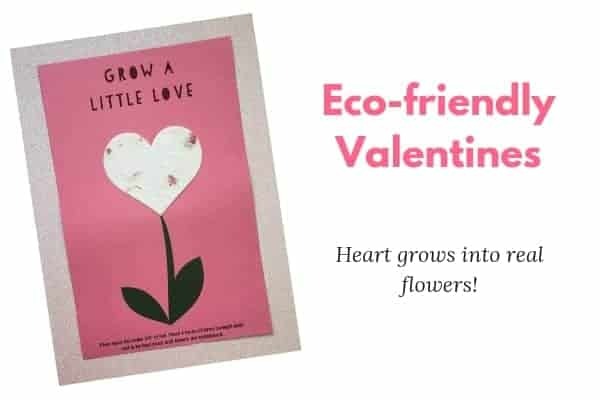 It’s also a great way to talk about being eco-friendly as the paper will be recyclable and the heart itself can be grown into beautiful spring flowers! 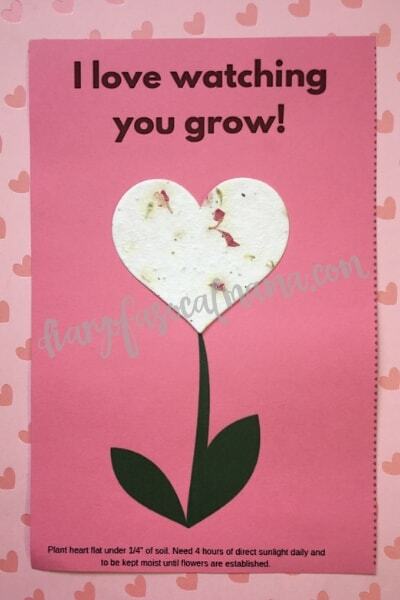 For cards from a teacher for students grab the template that says “I love watching you grow”. Here too I have included the instructions on the bottom for how to grow the seeded paper hearts. You can either send these home for them to grow them or turn it into a class project with some small containers and a little bit of dirt. It’s a great way to help teach kids about being eco-friendly and they’ll love growing their very own flowers! I hope you enjoy making these seed heart Valentine’s Day Cards!